In the Vilnius District Court of the Republic of Lithuania on October 3, 2016, the second stage of the trial began in the criminal case on the events of January 13, 1991, over more than sixty citizens of the former USSR. Among the accused are citizens of the Russian Federation. The former Soviet officer, colonel of the reserve of the Armed Forces of the Russian Federation Yu.N. Mel, who was charged with confrontation, has been kept in custody for almost three years, despite a serious illness. The overwhelming majority of the defendants in this case are outside the Republic of Lithuania, mainly in the Russian Federation. They, in particular the former Minister of Defense of the USSR D. T. Yazov, are accused in absentia. The trial is reduced to accusations of the said persons in “an attempt to illegally change the constitutional order of the Lithuanian state, attempting its independence and territorial integrity”, as well as committing “crimes against humanity” and “war crimes” during the tragic events in the city of Vilnius January 13, 1991 year, connected, in particular, with the storming of the television tower, during which fourteen people, including Soviet lieutenant VV Shatskikh, were killed, and more than 100 people were injured. The position of the General Prosecutor’s Office of the Republic of Lithuania on the so-called January 13 case amounts to the fact that Lithuania was the victim of the aggression from Moscow. Such a position is absolutely unacceptable from both a legal and a political point of view. Events in the city of Vilnius, whose participation is incriminated to the citizens of the former USSR, took place at a time when the Lithuanian SSR was not yet an independent state and was part of the USSR. The procedure for the withdrawal of the republics from the USSR was regulated by Union legislation, in particular the USSR Law of April 3, 1990 “On the procedure for resolving issues related to the withdrawal of the union republic from the USSR.” Due to the fact that the withdrawal of the union republic from the USSR is not a one-stage process, the date of gaining independence by the Republic of Lithuania should be considered September 6, 1991 – the day of adoption of the Resolution of the USSR State Council No. ГС-1 “On Recognition of the Independence of the Republic of Lithuania”. After the adoption of this resolution, the international recognition of the Republic of Lithuania and its entry into the UN were followed. At the same time, citizens of the former USSR are accused of crimes provided for in a number of articles of the Criminal Code of the Republic of Lithuania of 2000, and in the edition that entered into force on March 31, 2011, while the events under consideration took place on January 13, 1991. However, according to Article 7 of the European Convention for the Protection of Human Rights and Fundamental Freedoms of 4 November 1950, no one may be convicted of an act or omission which, according to national or international law in effect at the time it was committed, was not a criminal offense . Similar provisions are contained in article 11 of the Universal Declaration of Human Rights of 10 December 1948 and article 15 of the International Covenant on Civil and Political Rights of 16 December 1966. 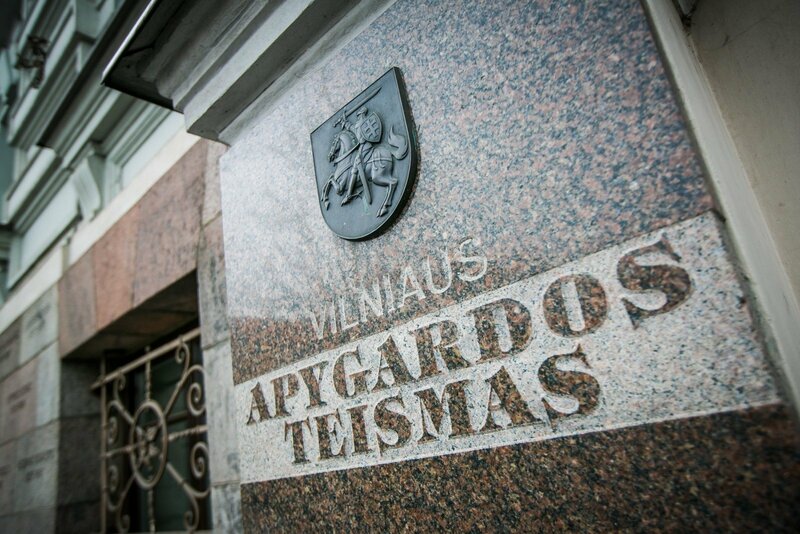 There are frank attempts by the Lithuanian authorities for opportunistic reasons and because of the misunderstood political expediency of violating one of the basic principles of justice – the inadmissibility of making the criminal law retroactive. Deputies of the State Duma of the Federal Assembly of the Russian Federation consider the current trial on the so-called case on January 13 a political process in the worst traditions of “punitive justice”, which has nothing to do with the protection of human rights and freedoms, contradicts the norms of international law and has a pronounced anti-Russian character. Such processes not only do not contribute to the restoration of a truly friendly atmosphere of interaction between our states, but also seriously damage the long-term interests of Russian-Lithuanian relations. Deputies of the State Duma protest against attempts to adopt political decisions, in one way or another, directed against the Russian Federation under the guise of administering justice. Falsifying history, opponents of the development of friendly relations of good-neighborliness between the peoples of Russia and Lithuania are preparing the ground for condemning Russia in the international arena as the heiress of the “totalitarian regime of the USSR” with the expectation of subsequent presentation of material and other legally alleged, but in fact politically motivated lawsuits. The deputies of the State Duma are convinced that the tragic events that took place in January 1991 in the city of Vilnius, as well as other events related to the process of the collapse of the Soviet Union, should be considered based on universally recognized norms of law, political impartiality and historical truth.